We left Boise early. Snowing intensity picking up as we approached Idaho City. By the time we arrived at Mores Creek Summit it was snowing at a rate of 2 cm/hr. At 6000 feet it is yet not looking like winter. But once you reach the 7000 it is a winter wonderland! PilotJan11_2018 from Santiago Rodriguez on Vimeo. By the time we were skiing there were 20 cms of new snow. Early in the afternoon, the storm snow reached the 30 cms. The snowpack predictably was reactive after the new load. We observed numerous whumpfs. 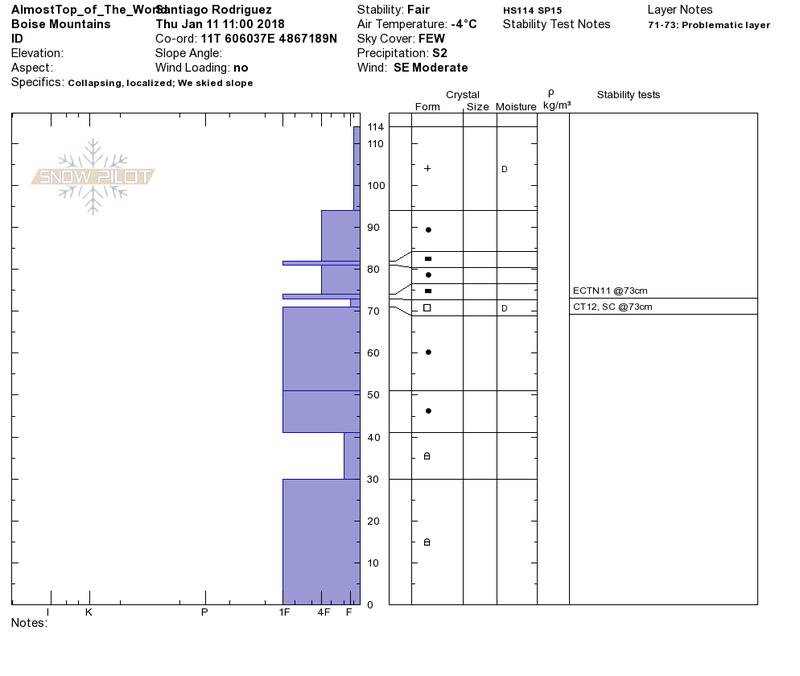 After checking the snowpack we suspect that the whumpfs were occurring at a new weak layer interface buried 45 cm below the snow surface. It is likely that this recent weak layer consists of a near facet layer form prior to last Friday's precipitation event when it developed the rain crust and it was subsequently covered by new snow. We do not know how widespread is this weak layer. We will be providing another update prior to the weekend. The meager snow conditions at the pass might discourage skiers, but higher up there are good ridinconditionsns. Links are provided to facilitating getting the Avenza app for your mobile device. Another link is provided to download topo maps from Mores Creek Summit with slope shading. The Avenza and topo maps are free. 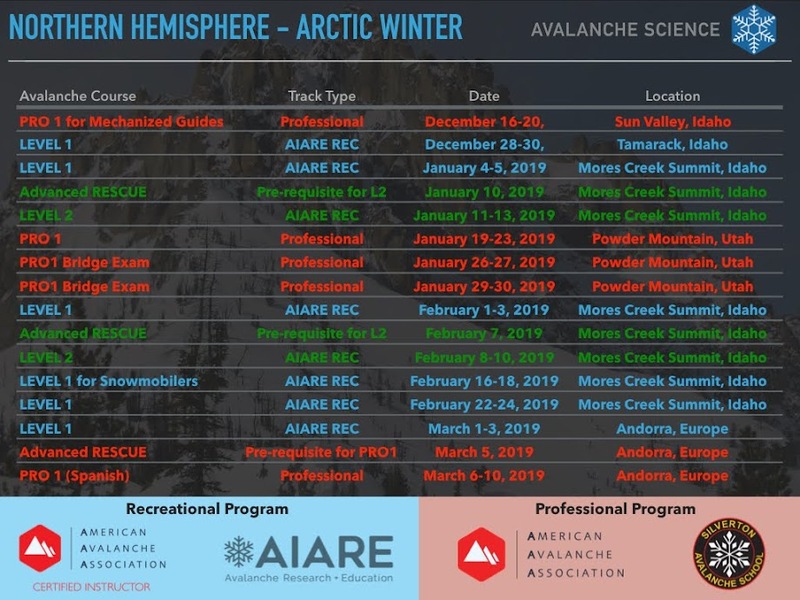 Another set of links are provided for the season snowpits. The snow forecast generated by OpenSnow for Idaho is also available via a link. The next video was filmed last Saturday at Peak 9220 - Banner Summit. StabilityTests_Peak9220_Jan6_2017 from Santiago Rodriguez on Vimeo. This peak is located SE of Copper Mountain. Skiing was good. We experienced whumpfs. Stability testing produced moderate results and no evidence of propagation. However, Q1 (Sudden Collapses) scores at a 45 cm weak layer are of concern. We did not find wind slabs at 9220.